Actor Macaulay Culkin has been photographed looking happy and healthy as it appears he’s past his rumoured ‘battle with addiction’. 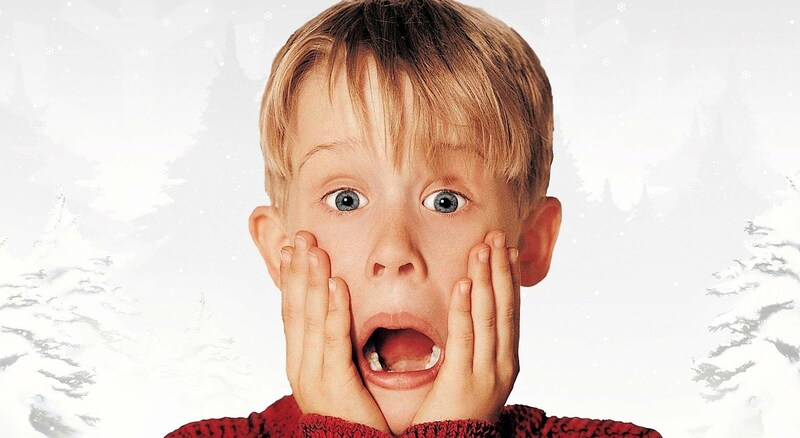 With Christmas approaching, we’ll no doubt be seeing a young Macaulay’s little face getting up to all sorts on classic films Home Alone and Home Alone Two: Lost In New York. When images of the former child actor emerged in 2012, the public shared their concern over his apparent dramatic weight-loss with rumours of drug use circulating. The actor was spotted walking around Paris this week enjoying dinner with his girlfriend Brenda Song, his goddaughter Paris Jackson and friends Seth Green and wife Clare Grant. Macaulay and Brenda looked every part the happy couple as they walked around arm in arm. The couple only announced their relationship in September when they were pictured holding hands while on another double date with Seth Green. Brenda and Macaulay both star in Seth Green’s new movie, Changeland. In a rare interview last year in The Guardian Macaulay said the public were ‘not necessarily’ right to worry about him after the photos sparked talk of a heroin addiction in 2012. Of course, when silly stuff is going on – but no, I was not pounding six grand of heroin every month or whatever. The thing that bugged me was tabloids wrapping it all in this weird guise of concern. No, you’re trying to shift papers. Last year, Macaulay was pictured looking well as he popped out to buy some smokes. Some said he had flourished into the man they always thought Kevin McCallister would grow up to be… if not slightly less of a brat. Macaulay has had ups and downs in his career since starring in the Home Alone series and the best film of all time (in my opinion), Uncle Buck. He was in five films in two years after the second Home Alone, including Richie Rich, before taking a break for almost 10 years. In his personal life, he was married actor Rachel Miner for just two years, and shortly after began dating Mila Kunis. He was with Mila for 11 years. In December 2013 a viral video of Culkin eating a cheese pizza was uploaded to YouTube. He was said to be parodying Andy Warhol eating a Whopper in Jørgen Leth’s documentary 66 Scenes from America. Macaulay was promoting the debut of his New York-based, pizza-themed, comedy rock band the Pizza Underground. In late May 2014 Culkin stormed off stage at Nottingham’s Rock City during his kazoo solo after fans began booing and throwing pints of beer on stage. The Pizza Underground then cancelled their remaining UK tour dates denying the cancellation had anything to do with the Rock City saga. In July last year he revealed the Pizza Underground would be splitting up after their next album. Whether or not he has taken drugs in the past, it’s good to see Macaulay Culkin looking happy and healthy.